Doug and I have been camping for roughly nine months and I have enjoyed the experience completely! I have also made some observations on our travels that have left me with unanswered questions. Anyone who knows me well can attest that unanswered questions never stay that way for long! Thank you internet! Why does the campfire smoke always follow me? I know, I know, it is not just me! Anytime we have gathered around a campfire with friends and family it is funny to watch the game of musical chairs that ensues as the smoke decides to travel in circles. But why does it do this? It seems to happen whether it is windy or calm! According to experts (well various people on discussion boards, anyway), the smoke isn’t really following you. it is simply reacting to the changes in air flow when a person or many people move around the fire. Theoretically, if you were to all sit perfectly still, the smoke would only bother one person in the direct pattern of air flow. But who stays perfectly still? And don’t forget those dogs that are always moving around…they shift the air flow continuously. That’s it! Blame it on the dog! According to many sources, the Native Americans had it all figured out. The tee-pee shape causes a better burn with less smoke because it funnels all the energy upward. The downside is the heat is also directed that way. 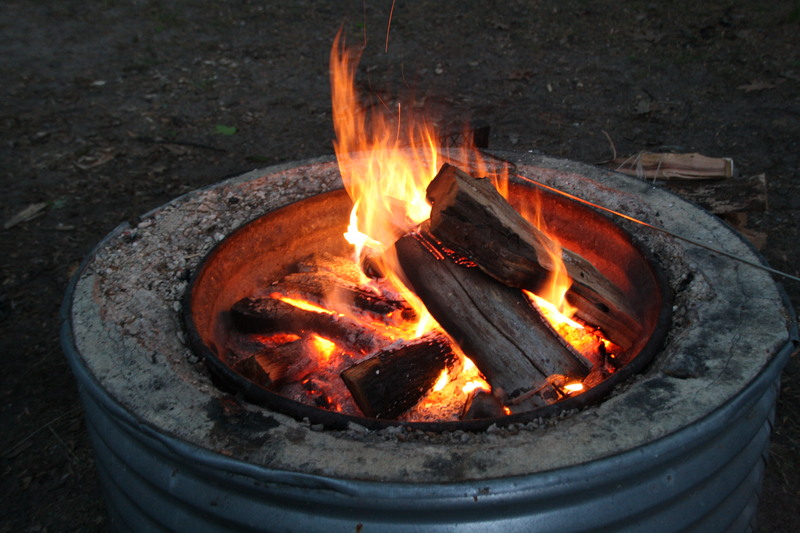 So when you start a nice tee-pee fire you are not bothered by smoke until it gets going and you rearrange the wood to get more heat from the fire. The best remedy I could find, aside from buying a smoke shifter from Camp-Mor, was this from “Kambucta” –The scientifically tried and true method to deflect smoke is to lick your pointer finger and then point it in the opposite direction to which the smoke is drifting.The only problem arises when the campfire is surrounded by people all doing the same thing. I have, however, seen smoke spiral into an upward vortex when this happens. 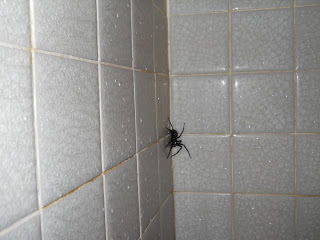 Why is the big fat hairy spider in the campground shower with me? One of the most vivid things I recall about our camping trip to Winton Woods State Park in Cincinnati was the huge spider that shared the shower stall with me. I must confess this picture was not taken by me (I would not have had the composure to take such a clear picture in this scenario nor would I have dared taking the camera into such a dangerously wet environment!) You can click the pic to see John and Christa’s blog about the “incident”. In any event, I was completely bewildered why a spider would want to hang out in a shower to begin with. Wouldn’t it be a dangerous place for a spider to hang out? Or just the perfect place to find the perfect victim! The most common answer I found was that they don’t want to be there any more than you want them there! They crawl on the ceiling and fall down. Then, because the walls are slippery, they are unable to get out. Some people suggested helping them out….I think I will just cower in the corner, thank you very much! Have you ever noticed that mosquitos seem to enjoy some of us better than others? Well, turns out it is true. 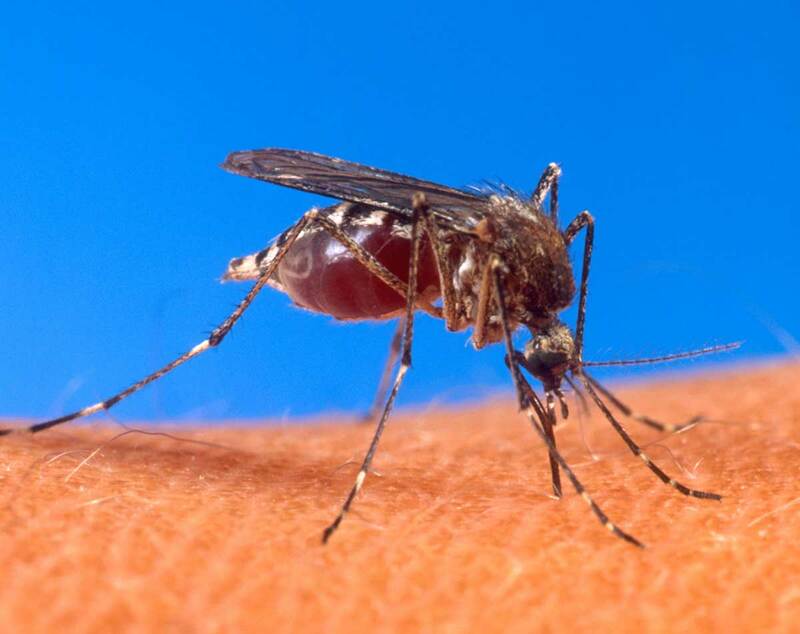 Mosquitos have a preference to victims with type “O” blood – great, how lucky for them it is the most common! Turns out some of us “O” people even secrete some sort of marker through our skin that tells the mosquitos we are a tasty delight. 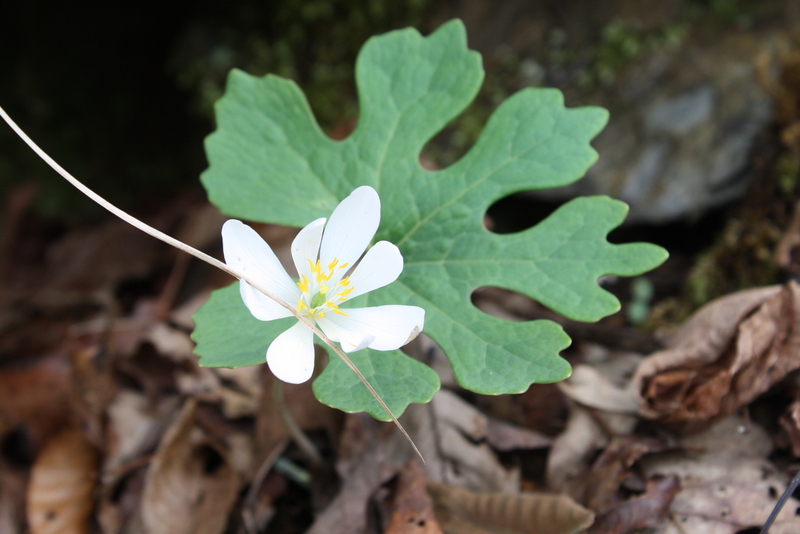 They are also attracted to carbon dioxide emission, so those of us who are prone to mouth breathing or heavy breathing from hiking those trails – look out! The mosquitos are hot on your trail. Sorry pregnant women, you are giving off more CO2 and they can smell you a mile away! But you may sympathize with this tidbit I found out – only female mosquitos bite. They need the nourishment to support the larvae that in turn will become lots of little mosquitos eager to bite you some more! Are there any Canadian Geese left in Canada? Well, that’s all for now. 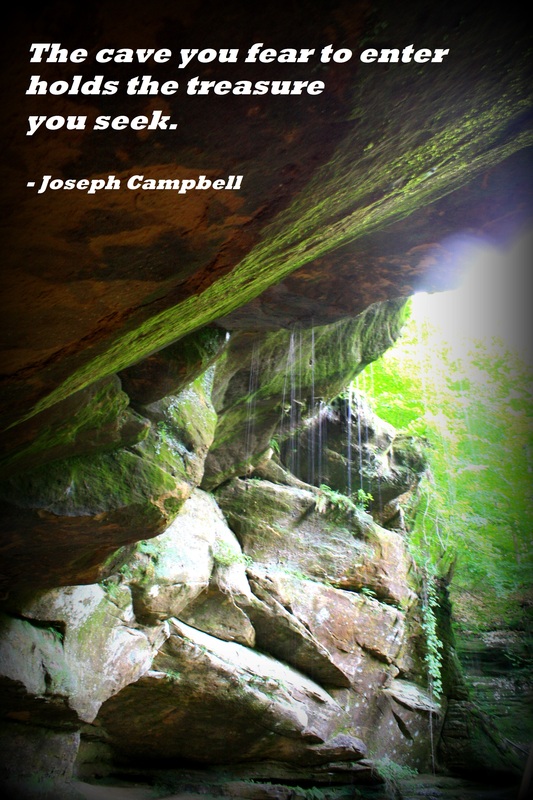 Do you have any observations or questions from camping you would like to share? We would love to hear them! This entry was posted in Title and tagged Campfire, Camps, Canada, Cincinnati, follow, geese, Higgins Lake, London, Mosquito, smoke, spiders. Bookmark the permalink. That’s very interesting about the mosquitoes for sure being attracted to o blood type. That came from the Neanderthals which means it is originally a pure white trait and unseen in Blacks unless they are mixed. I always suspected that people with good energy also got bit more. I suspect this could also be tied to oxytocin levels which I believe are higher in pregnant women. I’ve studied oxytocin quite a bit and there are racial differences in that as well! So there could be a high correlation with white ancestry and being eaten alive by bugs! In fact I’m pretty sure it’s just an energy thing as there is always an attraction to people with good energy. This attraction works on children and pets most obviously. So I’m guessing if it was purely energy then children should get more mosquito bites than adults by average. It could make for some interesting research and study. . . Interesting science behind this! Thank you for sharing. Because your body heat creates warm rising air (convection current) and the smoke is attracted to that low pressure air current. Great reading…thanks! We are camping as we read it!